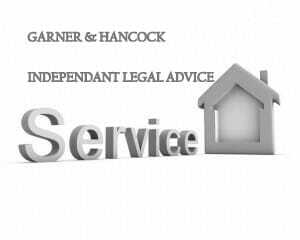 Garner & Hancock are specialist property lawyers with a vast experience of advising clients on property transactions. We offer a speedy, professional service to get your transaction finalised with a Certificate of Independent Legal Advice. We can arrange a face to face meeting or by Skype. Why do I need Independent Legal advice? Mortgage companies very often require Independent Legal advice certificates to be signed by a solicitor. This is usually time sensitive and could jeopardise the transaction if not completed in a timely fashion. This is often the final piece of the jigsaw in a long and laborious process. Your own conveyancing solicitor will be unable to offer this service as the mortgage company requires another independent solicitor to advise on the transaction. This is where we come in. We are there for when you might need another solicitor standing by to deal with the final part of the transaction. This is a document required to be signed where a person who intends living at the property but will not be an owner, like an adult child or relative. Such persons require signing a form that he or she will not interfere with the rights of the mortgage company should it seek to enforce the mortgage or take possession of the property. Many people are now using the vehicle of a limited company to buy properties. The mortgage companies require a personal guarantee of the loan. This is very usual and all the directors need to know what they are liable for. A lot of secured loans require the party seeking the loan to get advice before it will lend, especially if it is secured on the matrimonial home. This is now getting very popular with mortgage companies particularly if children are taking a mortgage for the first time and to satisfy their lending criteria mortgage companies require the guarantors to get advice. This is where equity from one property is placed on a second property, usually by way of a remortgage. Transfer of equity is popular when funds are being raised to purchase a buy to let property. Both spouses need to know what are the risks. The buy to let property could be held in a company. One of the owners of the original property may not be a director or shareholder of the property holding company. Family’s will purchase and hold property in each others name and transfer equity between them. Mortgages require each to obtain legal advice. We can act for the whole family although we will make sure we see each member of the family separately to ensure there is no undue influence and duress. More importantly, they understand the full impact of this loan vis a vis the other holdings and risks with those assets. This is a complex document usually found in transactions where there are existing mortgages or where the company has a floating charge on its assets and you try to have more lending for other properties in the same limited company. You will need to ask us for a separate quote for such advice. This does not require independent legal advice but requires thorough ID Checks and certifications. We charge a fixed fee of £50 plus VAT for this service. We fully understand that such additional hoops required by lenders can be stressful and it is not easy to see whom you can turn to get the best advice and a quick turnaround. 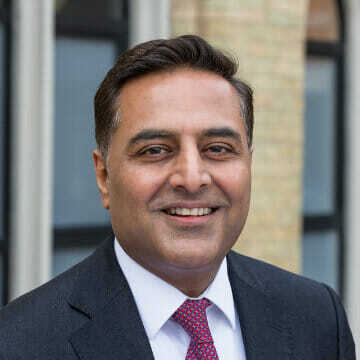 For a quick turn around and response within 1 hour* please call Garner & Hancock Solicitors 0208 232 9560 and ask for Mr Vinay Tanna.